Square is not the same as Squarespace. They sound like the same thing. And if you're new to digital marketing, I don't blame you for being confused between the two. Once you know the difference between Square and SquareSpace, you'll never forget it. SquareSpace is for building websites. Square is for accepting credit cards. 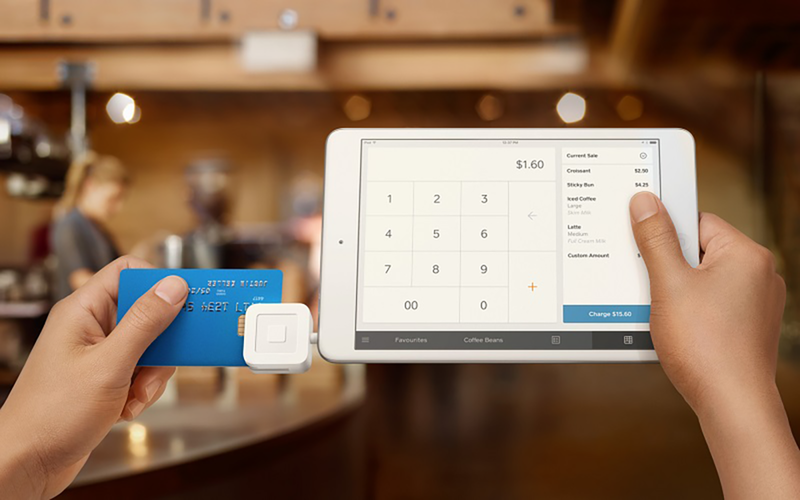 Square is a payment processing service that enables merchants to accept credit cards. It was actually started by one of the co-founders of Twitter, Jack Dorsey. It was one of the first companies to allow business owners to accept credit cards on their mobile devices. You're probably familiar with Square as the company that sells the Point-of-Sale (POS) device–you know, that little white square that attaches to the phone jack on mobile phones. Square is easy to use, free, and comes with excellent support. However, you'll likely pay around 2.75% per transaction. Some companies such as Clover offer much lower rates if you qualify and will likely have much better customer service and hardware options. Well known for the card reader that plugs into smart phones and tablets. One of the common issues I hear about Square is that it's difficult to get a hold of a customer service representative. If you're a Square merchant and you're wondering how to contact Square support, people have outlined how to do it. You must have a merchant ID from Square to obtain the phone number to call for Support. Once you have that, getting help is easy. SquareSpace is website development platform. It allows you to build websites. It's what I used to build my website and most of my clients' websites. SquareSpace has a built-in payment processing system called Stripe that allows for online transactions. SquareSpace is a good option for small business owners, artists, or musicians that don't have the money to hire a professional web developer. The tools in SquareSpace are easy to use and you don't need to know how to code. The beginner website packages on SquareSpace start at only $18 per month. There are many other website builders available. They include Wix.com, Wordpress.com, and Clover Online. After you've created your Square account, you'll need to follow these steps to connect it to Squarespace.